The Ski Club is open for skiing on weekends and holidays when we have enough natural snow. Our normal hours are 10 AM to 4 PM on Saturdays and 11 AM to 4 PM on Sundays. Please call 413-445-7887 to find out if the Club is open. 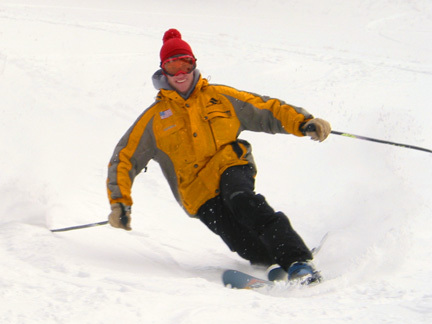 The Club opened for the 2014-2015 ski season on November 28. In a good year the Club can remain open until the end of March. In 2001 we were able to ski on April 14!